Get a replacement overnight and minimize downtime. This service plan allows the purchaser to upgrade service level from the standard repair and return warranty to an exchange program where the replacement unit is sent out to replace the defective unit before the defective unit is returned to NEC-DS. 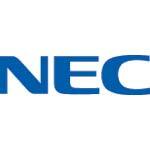 NEC-DS will ship outbound replacement using a (1) business day delivery service. NEC-DS must receive call prior to 3:00 PM EST in order for product to arrive next business day. Shipments are only made during regular business hours, M-F, excluding major holidays. Weekend and After-Hour Service is not available. If available, NEC-DS will ship the same model as the replacement or if unavailable, a “like” unit which has similar or better features. Return shipping back to NEC-DS of the defective unit via ground service is also included. Unless otherwise specified, the replacement unit will be covered by the remaining balance of the contract term and the length of contract purchased for the original unit.